Free Design Instructions for this Sommerso Bracelet! It takes only a few components and the only skill is crimping the crimp tubes. 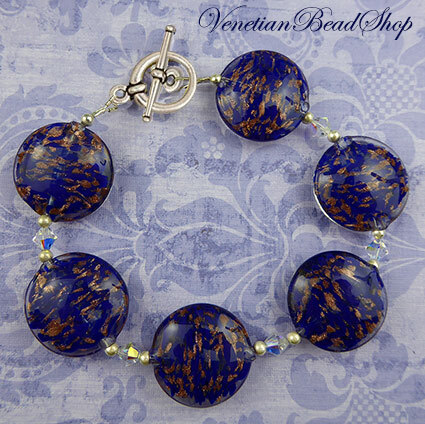 It features our authentic Murano Glass Sommerso Aventurina lentils (discs) in Cobalt Blue. You could easily change the color as we carry these discs in about 12 colors. Make matching earrings with the disc as well. It makes a bracelet approximately 8 Inches long.